We have the necessary equipment and expertise to restore you business after water damage 24/7. We respond quickly so you can get back to business. People who love magazines go the extra mile to ensure they obtain their favorite copy. With many publications going paperless, it means fewer magazine stores are available so a major water spill can cause major inconveniences to your regular clients. Responding fast and taking the right measures can help you navigate such loss with minimal inconveniences for your customers. We are IICRC certified in Water Damage Restoration so we can help. Stopping the source and extracting any pools helps minimize the impact of commercial water damage in Orlando. Using sophisticated equipment and techniques can help fast track this process. Our SERVPRO technicians use pumps or truck-mounted water extractors for fast removal. We also drill weep-holes and vents to release water trapped in cavities. Water spills drive up relative humidity in the affected areas or even the entire building. In a magazine store, heightened levels of relative humidity can cause widespread damages because of the risk of mold. Even diehard customers would not want to buy moldy magazines. Our SERVPRO technicians use thermo-hygrometers to check the levels of relative humidity in different areas including the areas affected by the water spill and outside the building. We then use drying equipment such as dehumidifiers to extract moisture from the air. In case there are many wet materials, we use air movers to improve the evaporation rate. When dealing with a water spill in a fully packed magazine shop, there is a need to move them to allow smoother operations. Such movement can create problems in the future if the journals are not placed back where they were initially. Our SERVPRO technicians take proper inventory of items should the need to move them arise. We even have electronic CCIS, Content Claim Inventory Service, which allows us to track where each item was before the move-out. This resource allows us to return each journal where it was thus minimizing inconvenience to your clients. In case of a water spill, call SERVPRO of Apopka-Wekiva to help restore your shop to preloss state. You can reach us at (407) 788-3124 any time. We’re Faster To Any Size Disaster. For more information about The Greenwood Cemetery Moonlight Walking Tour click here. Whom Do I Call When It Rains In My Child Care Center In Wekiva? 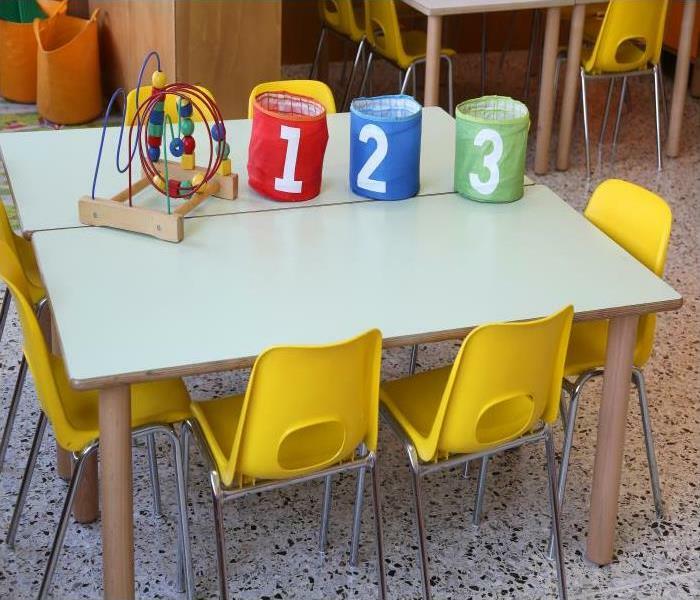 After taking all the relevant courses and going through the licensing process, you are finally able to run a child care center in Wekiva with a robust curriculum and lovely environment. You are at full capacity and parents rely on you for their childcare as they go off to work every day. Closing down for a few days because the fire sprinklers went off in the middle of the night and soaked every inch of the center affects not only your business but the lives of the families you serve. Thankfully, SERVPRO is here to meet all your commercial water cleanup needs in Wekiva. We are in the service industry ourselves and recognize how important it is to be up and running as quickly as possible. As soon as you get the call about the incident, you can reach to our 24/7 hotline, and our specially trained crew will go to your center to assess the damage and develop a plan for a quick and safe restoration. One of the first things our SERVPRO team looks at is the items that can be salvaged, and we quickly move them out of the way to a dry area to avoid any damage. At the same time, we are already placing submersible pumps in your center to extract water quickly, and we are using handheld extractors to access hard to reach corners. When the moisture in the air returns to normal levels, we bring in dehumidifiers and air movers to speed up the drying process. If your center requires it, we can even bring in equipment to push warm air inside your walls to help dry them thoroughly. As we make plans to open to your students, we work hand in hand with you and your regulatory needs to verify that all safety requirements are met. Our SERVPRO technicians pay close attention to removing any standing water that could later become breeding grounds for mold and bacteria, thus eliminating that threat. Click here for more about Wekiva. Our experienced professionals are ready to handle your fire damage restoration so you can get back to living safely in your home. 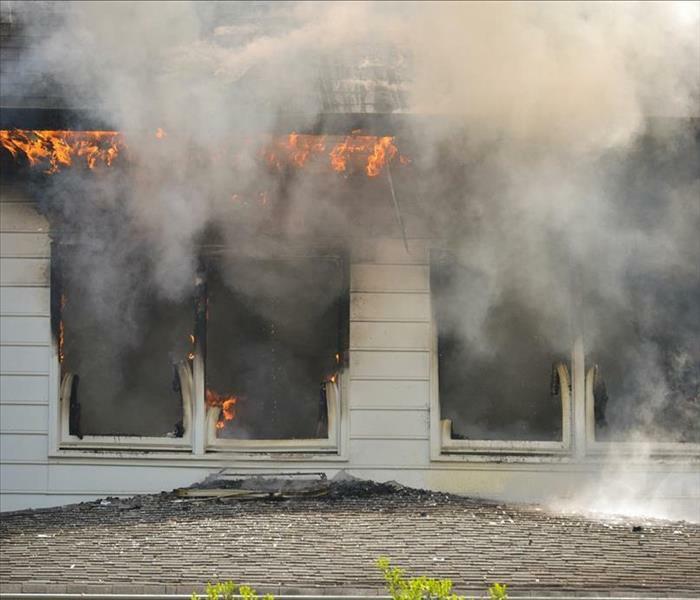 Even a seemingly minor fire puts your Orlando home at risk of persistent and permanent harm. The residues and odors left after a blaze are difficult to manage without specialized training. Every fire event presents complexities a layperson cannot fathom. Fortunately, our team of experts are well-trained and bring years of experience to every fire mitigation project including yours. The first tasks facing our restoration professionals responding to your Orlando fire damage challenge are often water removal and structural drying. Although the prioritization of water mitigation might come as a surprise, when you consider the efforts of the firefighters as they knocked down the flames the ordering of tasks makes more sense. Standing water creates safety hazards and exposes your damaged home to the possibility of severe secondary harm like mold damage. Because water loss mitigation is our other primary focus, we are prepared to start there and then move to fire cleanup. Fire residues vary depending on the fuel burned. SERVPRO is familiar with evaluating and managing different types of soot as we move from space to space within your home. Wood and paper burn fast and hot, leaving an ashy aftermath that vacuums and brushes away. Protein-based fires in kitchens deposit a thin, hard to remove film with a strong odor. Solvents and abrasive tools might be needed. Fabric and electrical cord fires coat surfaces in thick, sticky soot. Our SERVPRO technicians use their IICRC training to match cleaning products with the debris encountered. Wetting agents and surfactants loosen this type of soiling, and agitation ensures all layers release for wipe off. Perhaps the most taxing test of our SERVPRO crew’s abilities is deodorization after fire damage. No matter how clean we leave surfaces and possessions through our efforts, if a smoky odor persists, it is impossible to put the disaster in the past. We use a tiered system of charring removal and deep cleaning followed by the use of various advanced technologies to eliminate the smell. Cover-ups are temporary, but equipment like thermal foggers or hydroxyl generators seek out odor-bearing particles in the air and on surfaces and neutralize them at a molecular level. SERVPRO of Apopka-Wekiva is ready to assist with all aspects of residential fire damage restoration. Give us a call for a speedy assessment of the damage at (407) 788-3124. Click here for more informaiton on sports and fitness programs in Orlando. Did the Heavy Rains Cause Flooding in Your Orlando Home? 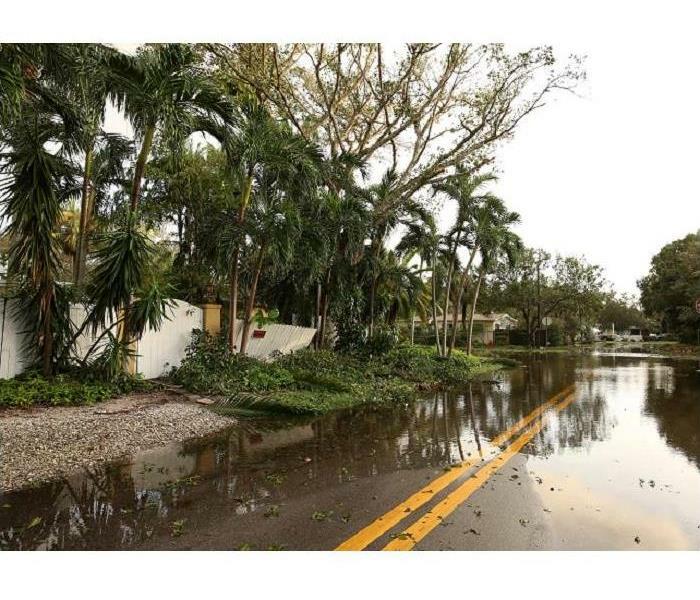 Heavy rains happen often in Florida and cause flood damage. Water tends to migrate throughout a property after flooding in Orlando. Although large quantities of water can pool up and are straightforward to remove, cracks and crevices in the floors and joints between walls and baseboards allow some water to drain into cavities. It is crucial to eliminate both the standing water and any hidden moisture to avoid progressive deterioration and secondary concerns like mold damage. When heavy rains create overland flood damage in low lying areas of Orlando, foundations, crawl spaces, and ground level living areas are all at risk. Waiting for the water to drain away rather than taking more aggressive action is not recommended. Allowing flooding to remain more than 24 to 48 hours can accelerate mold growth, and soaked building materials rapidly deteriorate. Flooding damage restoration is one of SERVPRO’s core services. The crew sent in response to your request for assistance is highly-qualified, trained in IICRC protocols and strategies proven to deliver successful flood damage remediation results. Once we pump out and extract visible water, our employees use thermal scanning and moisture meters to locate trapped water. SERVPRO also uses innovations like specialty drying equipment to pull moisture out of several levels of flooring. The negative pressure technology suctions out water that percolated below the surface of hardwood and other floors using mats that adhere to the surface. Hoses attached to the mats use our truck-mounted extractors to evacuate the water that drained beneath the surface. This system can also be set up to pull moisture from cavities behind walls. Another way SERVPRO gains access to the hidden water is by using flood cuts, portions of wall material removed near the floor. Once we extract the seepage, the openings permit us to direct airflow into the damp areas to complete applied structural drying. Drying of building materials requires a balance of air movement, heat, and dehumidifiers. SERVPRO monitors the moisture levels as we run a drying perimeter to ensure we meet the drying goals determined by our crew chiefs. SERVPRO of Apopka-Wekiva offers residents top-notch flood damage abatement services. Contact our team 24 hours a day, year-round at (407) 788-3124. 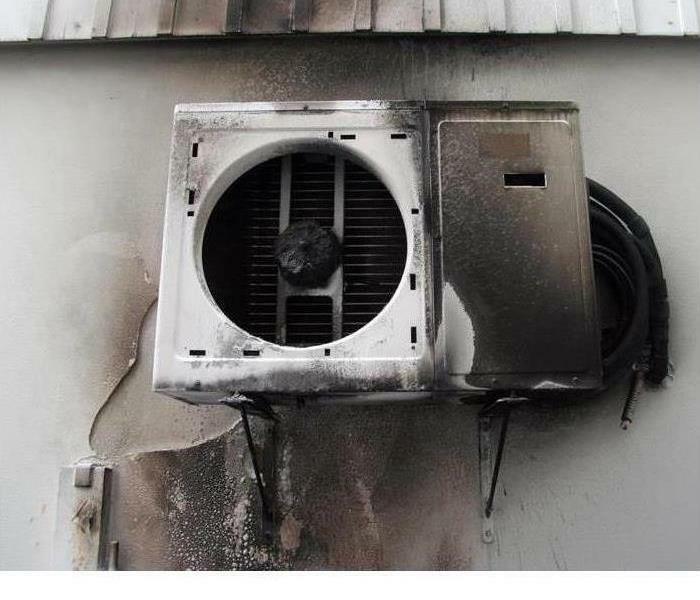 A commercial air conditioning unit caught fire and filled the office with smoke. Our experts restored their business and they can help you too. It can be very disheartening to see your business engulfed in flames and to grasp just how hard restoring it will be. In between salvaging what you can, unraveling the appropriate paperwork to file for your insurance claim and ensuring the safety of all involved it is hard to know where to start. Moreover, of course, there are the financial considerations that come from your business not being able to operate. For all commercial fire damage needs in Orlando, SERVPRO is here to help. Our team of experts is here to help you set priorities and relieve you from the work we do best. As tempting as it may be to enter your business with mops and cleaners, restoring your business after a fire is best handled by experts. Time is of the essence, and we can set things in motion as soon as you reach out to us. Our team is available 24/7 to respond to your emergency and begin the restoration process. When there is fire, the damage comes not only from flames but also from the water and chemicals used to douse it out. Deciding what is salvageable and what is not can be time-consuming, but our well-established procedures are designed to make the decision more effective, thus saving you time and money. Our SERVPRO team first concentrates on eliminating any standing water and removing any materials that cannot be salvaged. Once our monitoring equipment verifies that moisture is back to acceptable levels, we utilize air movers and dehumidifiers to ensure everything is dry. Our work is not done until we rid your business of unpleasant odors. To remove smoke and soot we use specialized solutions specific to each surface to clean and disinfect, but for odors, we use different approaches to neutralize and eliminate the offending smells. Our SERVPRO team understands how smoke travels, so we understand how to fight its remnants. By using charcoal activated filters, we clean the air through your HVAC system, and we complement those efforts with deodorizing pellets and even an ozone generator if appropriate. We hope your business never falls victim to fire damage, but we are here to help if it does. Just call SERVPRO of Apopka-Wekiva at (407) 788-3124 and allow our experts to work for you. Every minute we can help you gain in opening your business again is time well spent. Check out one of the many Orlando Downtown Tours click here for more details. Plaza stores are a commonplace to commercial areas of Orlando, and it is the ideal location for your small boutique to find a foothold with the local and vacationing shoppers around the city. With steep competition for the attention of these daily customers, your business cannot afford a costly and time-consuming repair, and restoration like you might experience with the inadequate cleanup of a water loss incident in your shop. Instead, you can trust in the experienåce and fast response of our professionals to get the job done right the first time to keep your doors open. While there are many different ways that water damage can affect your Orlando shop, restoring the effects that the incident can cause may not always be straightforward. Often business owners work to prevent the need for sub-contracting cleaning efforts to professional restoration companies for what would get deemed “minor” water incidents. 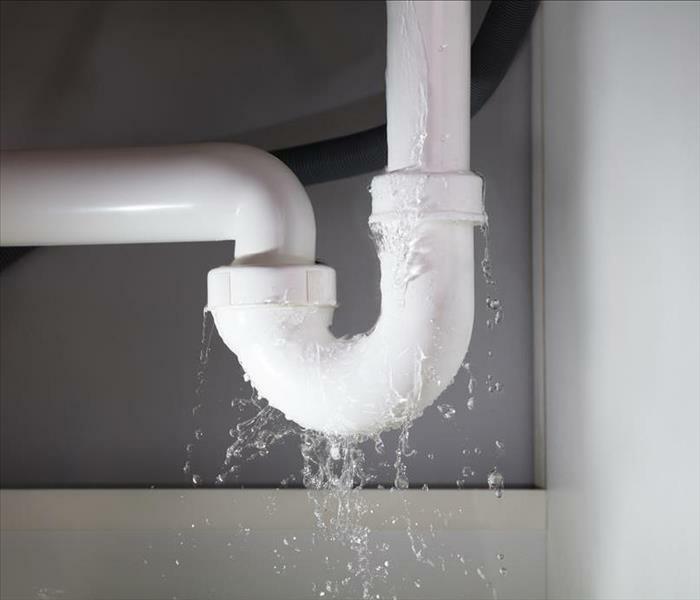 The risk here is that inadequate cleanup and drying of these smaller water loss incidents can allow for continued structural damages, loss of stored inventory, and secondary effects like mold growth to develop. If you seek the professional skills of our SERVPRO team for these emergencies instead, our fast response can ensure that the damage does not spread beyond the immediately affected area and we can work efficiently to get the saturated elements dried up. We're Faster To Any Size Disaster. Additionally, our professionals can check our progress and success in removing lingering moisture and dampness through the use of moisture detection equipment and FLIR thermal imagery cameras. Our SERVPRO team can also work to protect the stock in your store. We can move it to a safe location throughout the drying process so that moisture and dampness do not cause irreparable damage that compromises your investments. 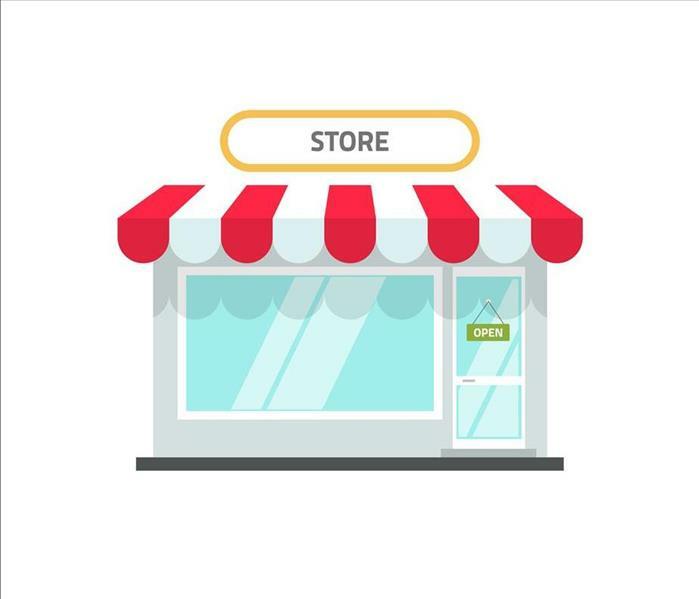 With the steep competition for small businesses throughout the city, do not take any more time than necessary restoring water damage to your shop. Our SERVPRO of Apopka-Wekiva water restoration technicians can make it “Like it never even happened.” Give us a call anytime at (407) 788-3124. Our experts are available 24/7. We have the right equipment for any situation big or small so don't wait call us today! Orlando is filled with communities where single-family homes and condos provide a comfortable and peaceful community living. One of the most notable features in this beautiful city is the abundance of lakes and water bodies which only point to how present water is throughout the area. Summer downpours and thunderstorms are the norm and locals prepare for their effects. An essential part of this preparation is knowing whom to call if there is water damage to your home. Time is of the essence when there is water damage to your call in Orlando. Our SERVPRO team is equipped to handle emergencies stemming from a broken pipe to a window leak to a more severe structural problem in your roof. Regardless of the cause of the damage, we are IIRC certified and ready to respond 24/7 to your emergency call. Our ability to respond promptly is the first step in curtailing the extent of the damage caused by standing water to your home. Our SERVPRO Green Fleet is prepared to arrive at your home with monitoring tools and equipment to fit emergencies of all sizes. Upon arrival, we assess the extent to which the structure of your home has been compromised and take action to ensure the safety of your family and our staff. Once imminent dangers are mitigated we proceed to extract any standing water using submersible pumps and more targeted tools. In this process, we closely monitor the presence of standing water behind your walls and under carpeting and flooring. Once we confirm appropriate moisture levels, we can complete the drying process using air movers, dehumidifiers and other advanced techniques. Homeowners frequently encounter that their attempts at extracting water and drying their homes fall short of safeguarding them from other damage. For example, you may think that your home is completely dry even though a small deposit of water still lies beyond your drywall. Given a short period, you could battle the spread of mold with the threat this may pose to your health. At SERVPRO we train to anticipate these effects and take preemptive action to prevent further damage. When you find yourself in need of a reputable team to help you delete water damage from your home do not hesitate to contact SERVPRO of Apopka-Wekiva at (407) 788-3124. Like you, our goal is to leave your home "Like it never even happened." Plan your visit to Leu Gardens click here for more information. Water Damage In Your Orlando Home? Don't Worry SERVPRO Can Help! Let our professionals restore your home after a flood with our extraction equipment. We are available 24/7 give us a call. While not all Orlando homes have a crawlspace, those that do have undoubtedly witnessed the effects of the moist and damp ground and pooling from severe weather in this area of their property. While this open area beneath your home was deliberate in its design to reduce flood damages for homes that could get affected by multiple hurricanes every rainy season, the upkeep for your crawlspace is sometimes more than allowing it to dry naturally on its own. Water damage that affects your Orlando crawlspace might seem less pressing than a water loss incident that occurs within the house, but taking care of this situation could prove equally important. Without swift actions to remedy lingering moisture and dampness on the underside of your home, you could be opening up the door to mold growth and colonization, which is both damaging to the structural integrity of the property as well as those that live in the house. Preventing this begins with keeping a mindful eye on moisture and dampness levels in the crawlspace throughout the year. Even groundwater pooling at the surface could have the same disastrous effects without the need for severe weather systems or flooding. Our SERVPRO team has efficient extraction equipment that can help to quickly remove any excess water damage from the flooring of this crawlspace and help it to reach a point where our drying processes work quickly. Drying this crawlspace can be an excellent place to start with preventing secondary effects like mold growth, but is only a temporary solution. The technicians that we dispatch to your address can offer you effective solutions to divert water away from this area of your property. From the installation of sump pumps to crawlspace encapsulation, our SERVPRO team can offer you long term solutions to prevent recurring threats. While area residents might stay accustomed to the humidity and moist conditions of the ground, your home does not have to suffer the effects of this persistent dampness. Let our SERVPRO of Apopka-Wekiva water restoration technicians help you dry up the damage and work to prevent recurrences moving forward. Give us a call today at (407) 788-3124. Visit the Downtown Food & Wine Fest click here for more information. Are Storms Flooding Your Orlando Home with Water Damage? Storms occur in Florida frequently. Call SERVPRO Franchise professionals to restore your home. With more recent devastating hurricanes like Irma and Michael that have taken their toll on the state of Florida, Orlando residents are more steadfast than ever before about the possibility of flooding for their homes. Disasters can strike this area in a moment’s notice, and with so many homes throughout the area, widespread flooding can impact many homeowners simultaneously. 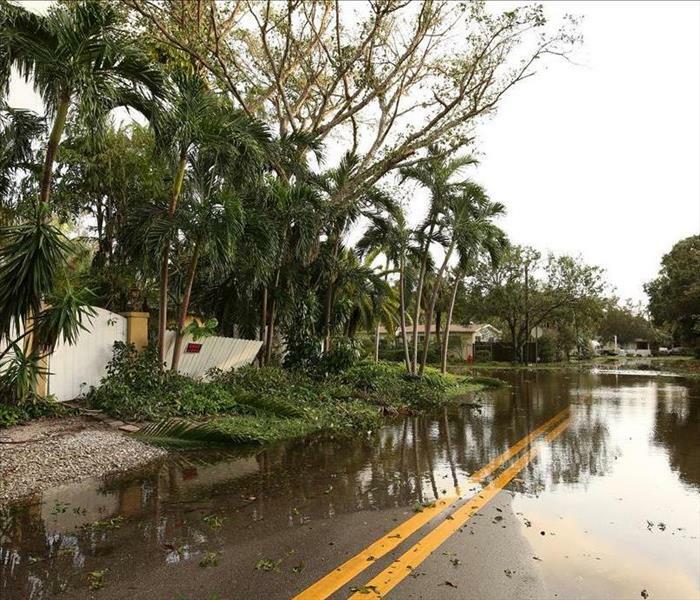 While flood damage in Orlando can vary from property to property, your home requires immediate attention and remedial efforts regardless of the severity of the flooding that you experience. Most homeowners lack the specialized equipment and expertise to recover their homes after a disaster like this, so they rely on the availability of professional restoration technicians like our SERVPRO Franchise professionals. Though resources can get stretched thin through widespread flooding through the communities that we serve, our experienced team responds to every address promptly to provide the same level of care and consideration that your property requires to get restored fully. It is essential to reach out to our team as quickly as you can following a disaster like this so that the appropriate personnel can reach you for estimations, assessments, and mitigation efforts. With the speed that floodwater can damage your home, you need counteractions that work as effectively. Our SERVPRO Franchise professionals arrive with advanced equipment like our truck-mounted pumps and gas-powered extractors to offer fast removal of excess water. We also have efficient drying equipment that can prove instrumental in preserving the structural skeleton of your flood-damaged home. 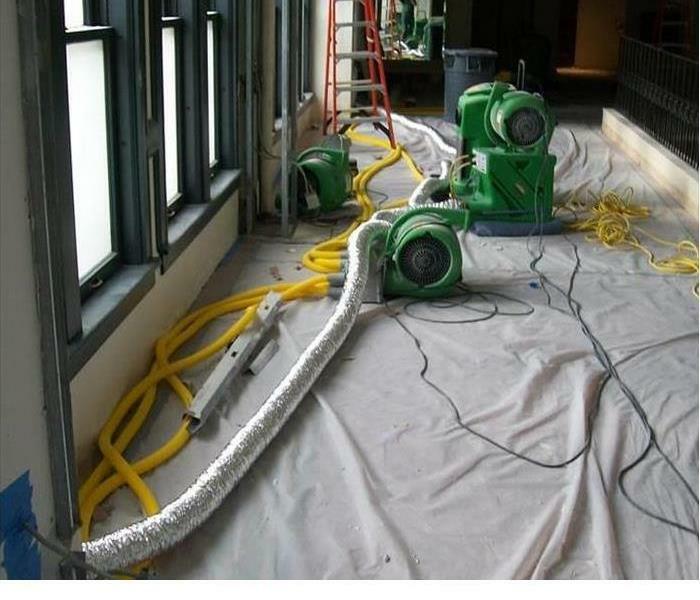 We can identify the best locations to use machines like our air movers and desiccant dehumidifiers, which both work together to remove moisture and dry out affected elements. Flooding can occur with little warning when the right storm system is passing through central Florida. With the speed with which these disasters can affect your home, trust in the team that can respond to your emergency just as quickly. You can reach our SERVPRO of Apopka – Wekiva rapid response team 24/7 by calling (407) 788-3124. Read about Orlando’s beginnings here. Is Storm Damage Causing Water to Enter Into Your Orlando Home? Florida has lots of storms and they frequently cause damage to homes. Living adjacent to the Atlantic Ocean can sometimes mean that your home may become flooded, and you may need to get in contact with a professional company that can provide water removal assistance. A storm hit your home, and the harsh winds forced an opening into your home, through a window. Over the next several hours, as the storm continued, puddles of water began to gather in your living room and stagnate there. No matter the time, if you find flood damage in your home, it is essential for you to contact local Orlando-based water removal services. Getting in contact with professionals as quickly as possible ensures the smoothest remediation possible. The longer that you wait, the more likely it is for further damages inside your home to make themselves known. To prevent complications, such as mold damage, get in contact with professional help as soon as you can. SERVPRO Franchise professionals have a hard-earned reputation of being dependable and friendly. We always strive to be kind to our customers and inform them of the situation in their home. Furthermore, we always makes an effort to arrive at your home as soon as possible after your call, because we understand that it is essential to get the water out of your home as quickly as possible. When we get your call, our IICRC-techs can rush to your home with advanced equipment that is designed to take the water out swiftly. After an explanation of the damage and our solution, we can get to work straight away, using tools like wet/dry vacuums and extractors to remove the puddles along your living room floor. To dry out your flooring that absorbed the water throughout the night, we can use drying mats, and dehumidifiers pull the moisture out of the panels. Once we finish, our SERVPRO Franchise professoinals can return your home returned to preloss conditions in most cases. If your home floods from a storm, always get help. Speak with SERVPRO of Apopka-Wekiva by calling (407) 788-3124. Our doors are open 24/7, and we always have technicians ready to help you. Orlando was originally known as Jernigan. Read more here. 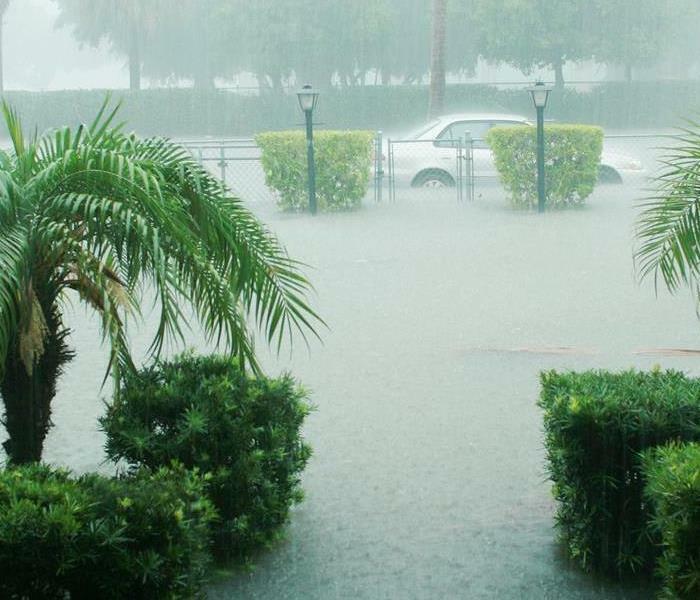 3/12/2019 - Did the Heavy Rains Cause Flooding in Your Orlando Home? 2/13/2019 - Water Damage In Your Orlando Home? Don't Worry SERVPRO Can Help! 2/6/2019 - Are Storms Flooding Your Orlando Home with Water Damage? 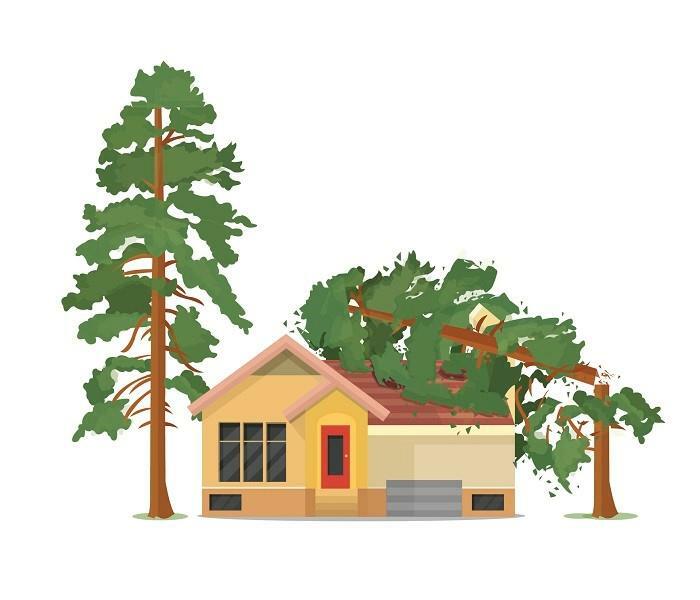 2/5/2019 - Is Storm Damage Causing Water to Enter Into Your Orlando Home?